Anne et Valentin June Pop-up! 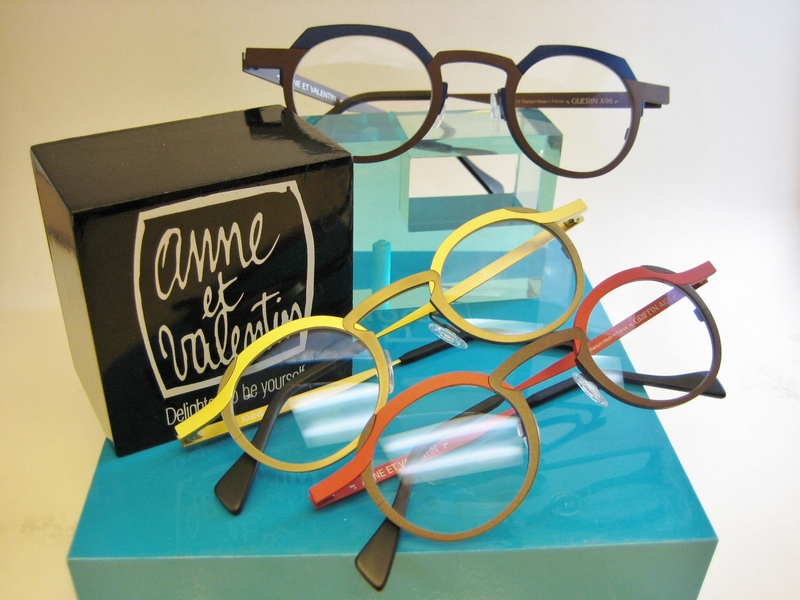 The newest Anne et Valentin collection is incredible in scope, design and color. This is their strongest collection yet. They introduced so many fabulous new colors and new shapes that we went over-board when placing an order for the shop. 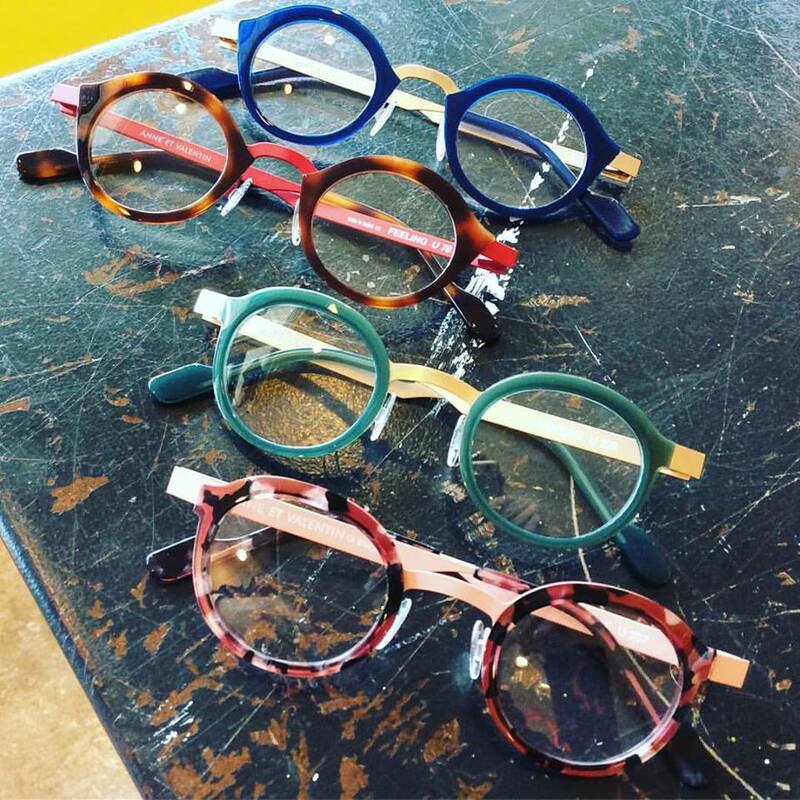 On June 15th from 3-7pm, you will be able to see every shape and every color in their current and new collections. They have eyewear for men, women *and* kids. This show is definitely not to be missed! 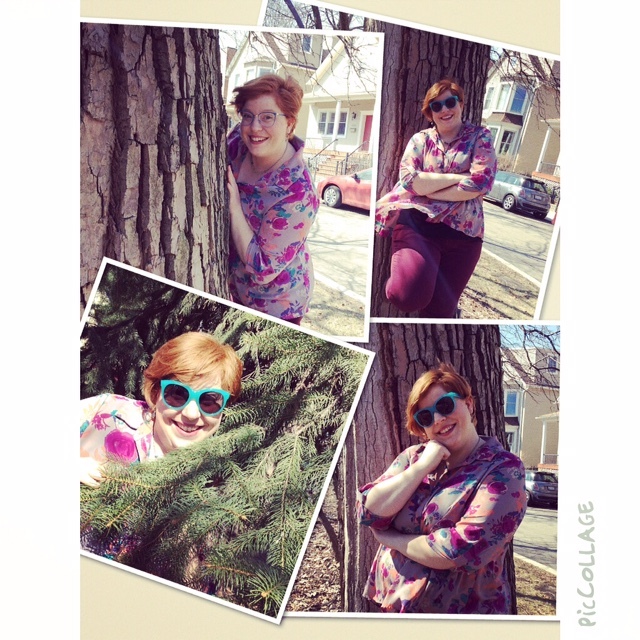 Sneak a peek at some of the images below and see you there! How can we describe how much we love Theo?? 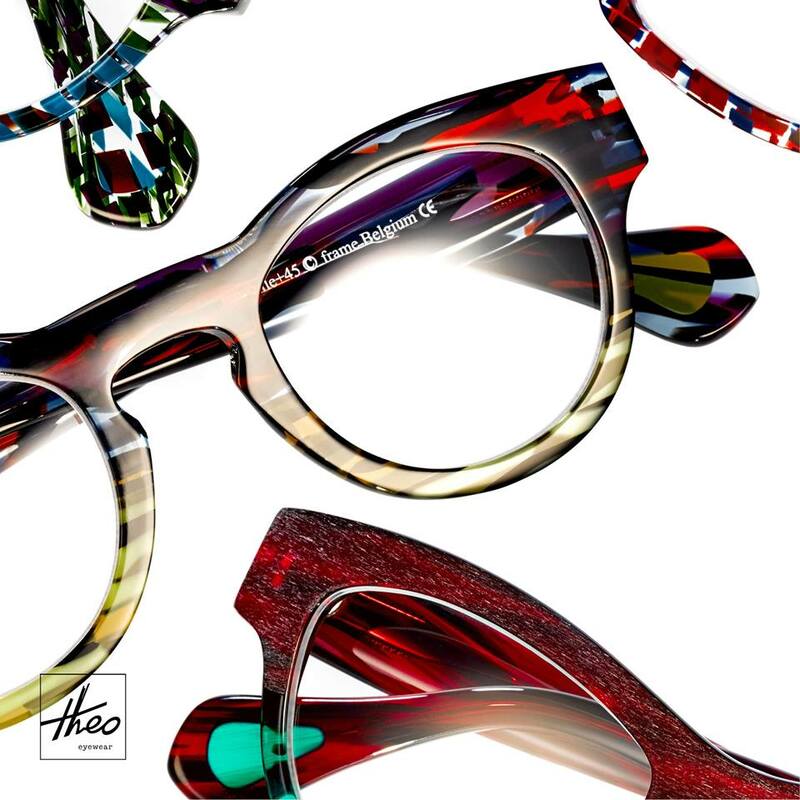 With a few photos and by the simple fact that it is Theo that made us fall in love with eyewear. Pure fun, great design and decidedly different. 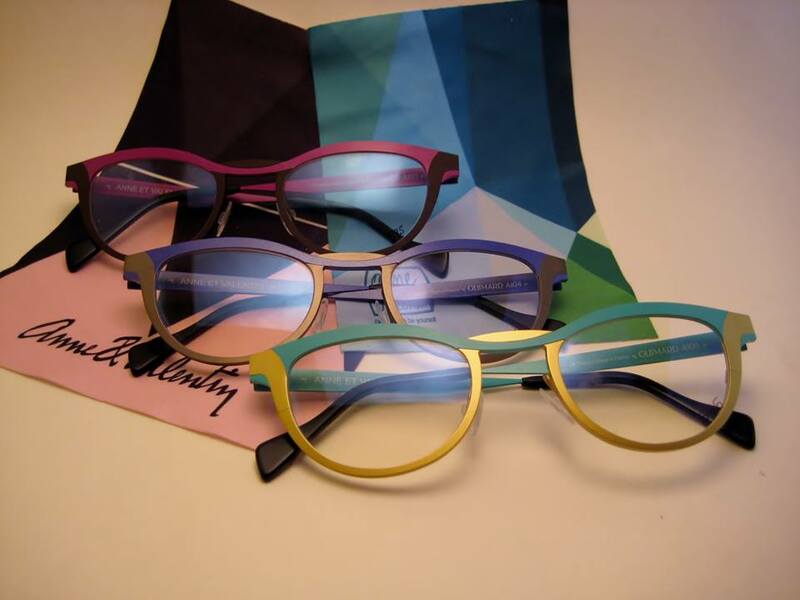 Along with the current collection of Theo in every color of the rainbow, we are honoring Theo’s Flemish heritage. Theo is designed and made in Belgium….so we are supplying fine beer and chocolates. The beer comes by way of our neighbor, Bitter Pops, and the chocolate by way of Katherine Anne Confections in Logan Square. 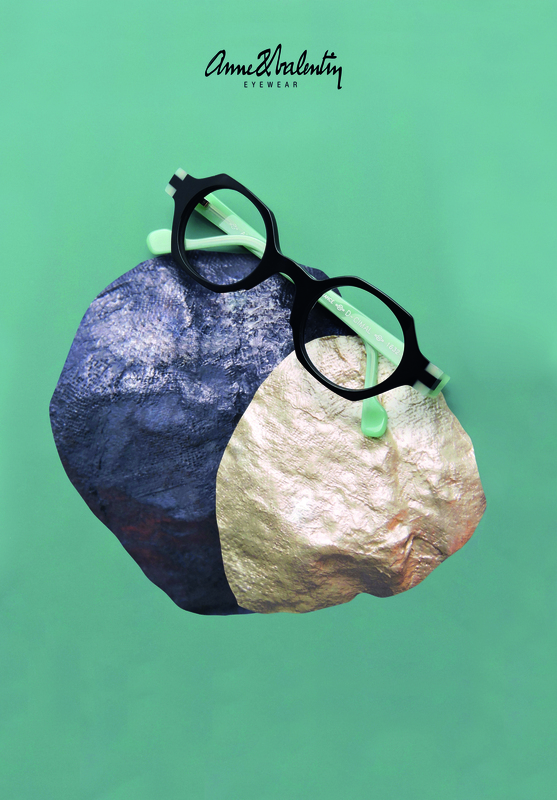 Not everyone who sells and fits eyewear and lenses is a certified optician…but at Eye Spy, three out of our four opticians are board-certified…and proud of it! You might think all we do is tell you if you look good in your eyewear, or not, but there is a lot more to being an optician. 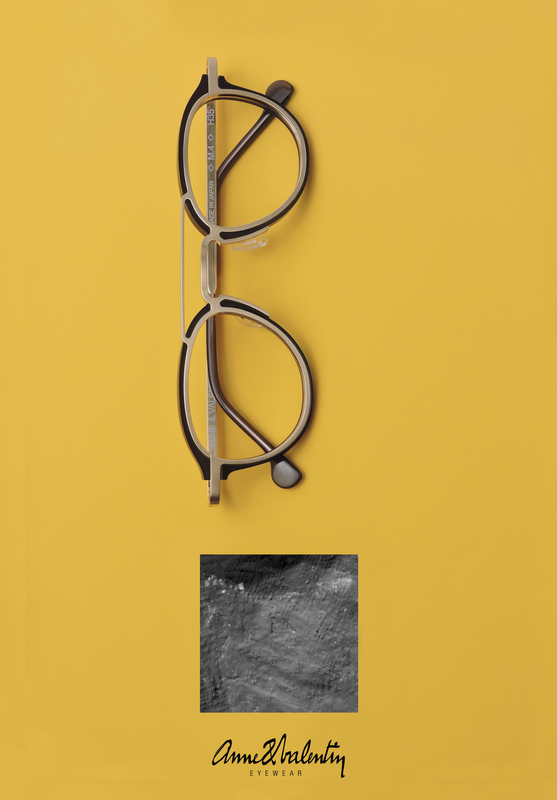 We take measurements that determine how your prescription lenses are made, decide on the design of the lens and the optimal material for your prescription, fit the the frame properly, select a frame that will look good with your prescription lenses, make sure that the lenses are made to the correct parameters, trouble-shoot and solve adaptation problems…and more! 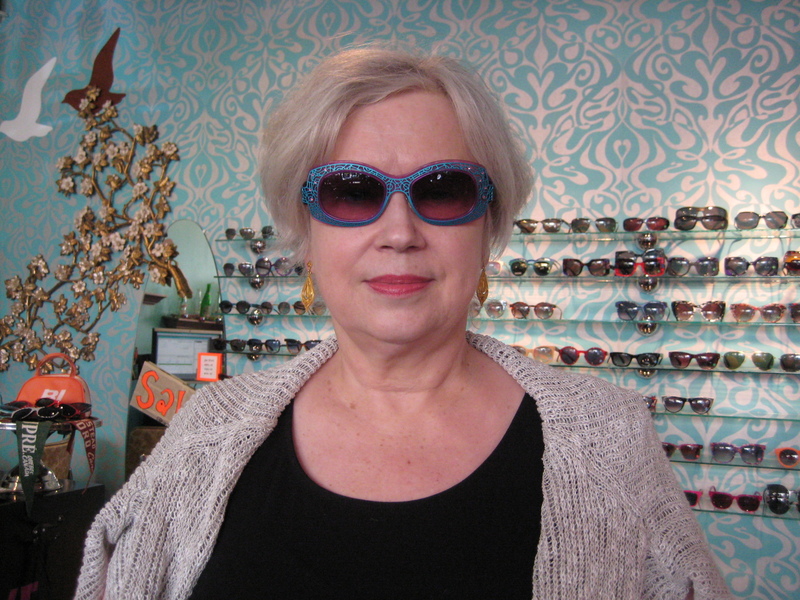 So, next time you pop into Eye Spy, ask for Clara, the Optical Oracle, to help you select your eyewear! It’s Sunday Funday, folks! Which means we’ve got a new Customer of the Week! And that customer happens to be Gretchen! 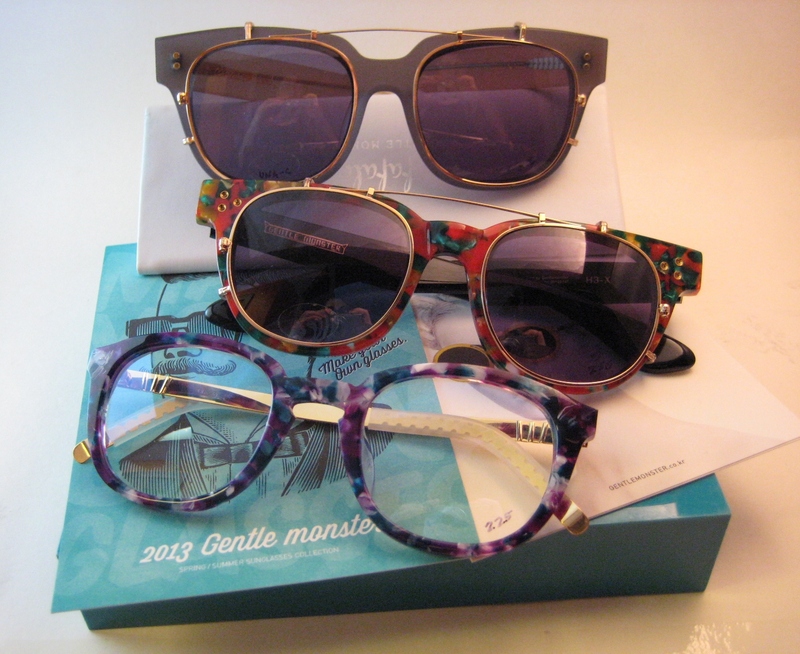 We’ve been a little biased towards sunglasses these last few weeks. But come on….these are too good not to report. 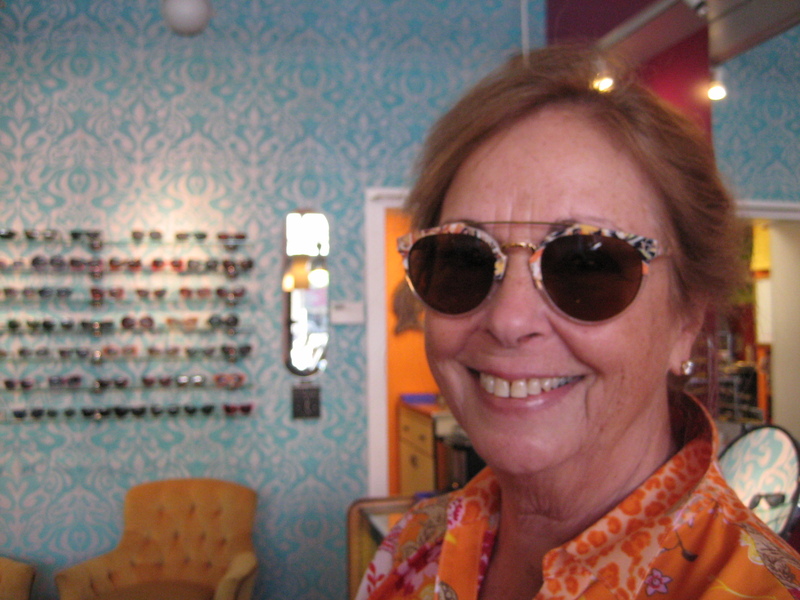 Gretchen hopped on the express train to Shadyville and pulled out all the stops on not one, but TWO pairs of tricked out shades. 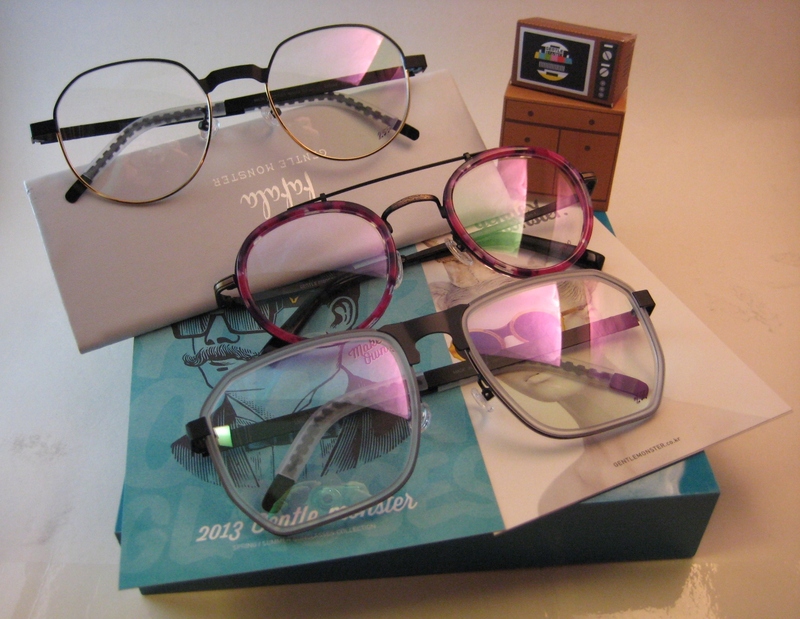 The first ones are the purple and turquoise lace Lafont “Luxours”. You can’t really get more flashy than these. 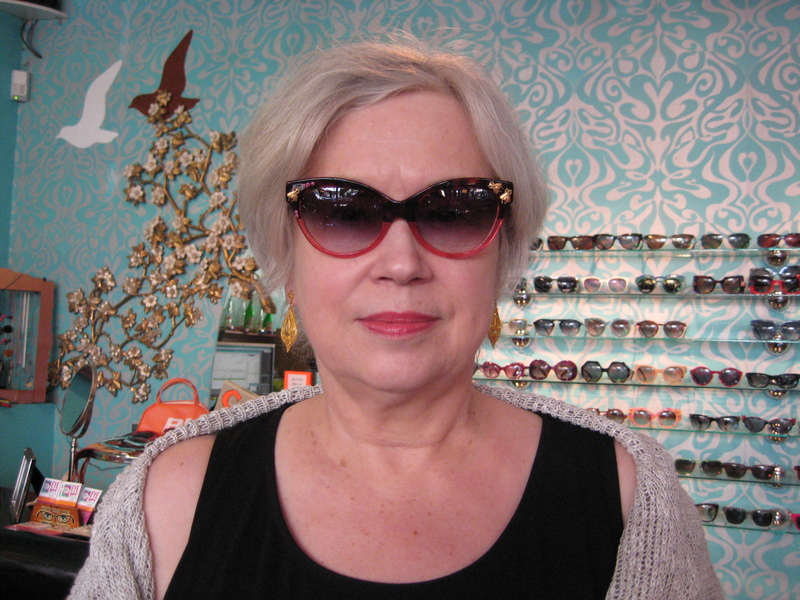 HOWEVER, in addition to what I like to refer to as the “Elton John inspired” Lafonts, Gretchen also made another bold choice in choosing these Francis Klein “Pinup” shades, adorned with guilded bumble bees! Yea that’s right….BEES! Needless to say, wherever she goes, she is going to get noticed with these spectacular works of ocular art! MAKE WAY FOR THE NEW CUSTOMER OF THE WEEK: Nadine!! Nadine took advantage of our sunglass extravaganza and copped a pair the these old-school-meets-new-school RetroSuperFuture “Jaguar Tapestry” shades with polarized lenses. There was no debate about these bad boys. Nadine popped these on and suddenly all was right in the world. Whether she’s on vacation in the islands, on the golf course, or shielding her eyes from a Miley Cyrus twerk show, she’s ready to go in these sooped-up classics. Not to compete with Nadine, but we also saw these sunnies look fabulous on a young gentleman at one of our pop-ups this summer…..
We’re introducing a new line to the Eye Spy sales floor! 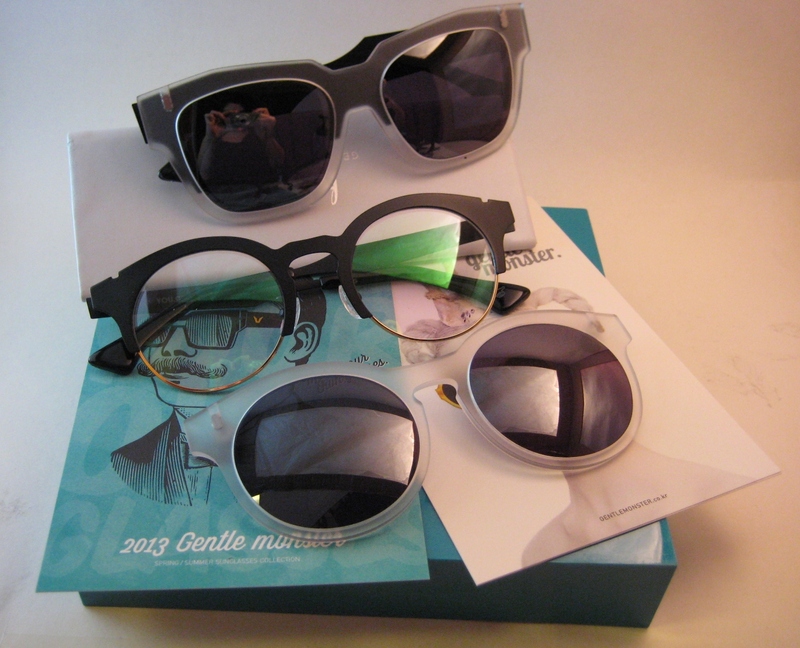 Gentle Monster, a line hand-crafted in S. Korea, takes on modern edges with sleek angles. 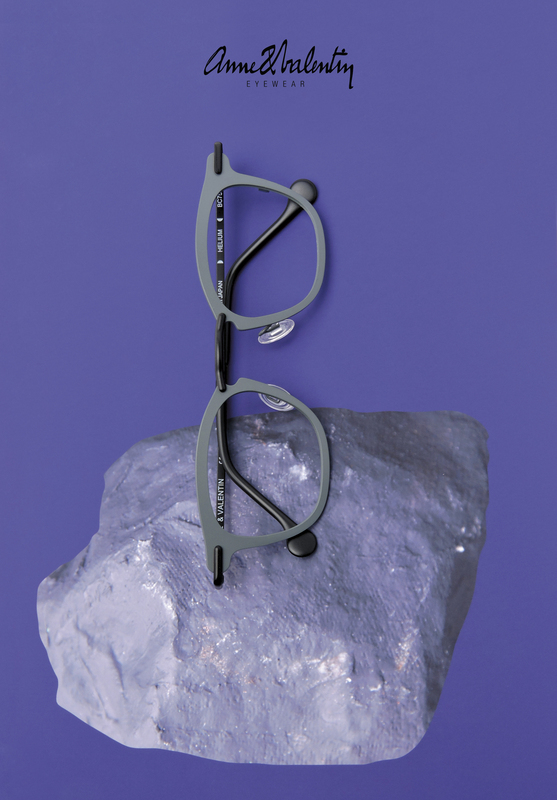 Their business model is built around the motto of “INNOVATIVE EXPERIMENT.” These frames take on attributes of the classics, but with an update. 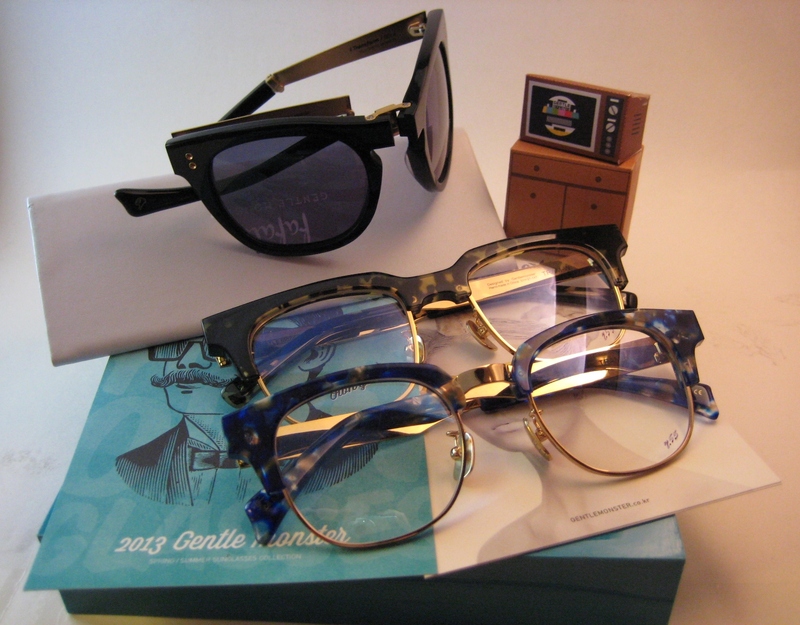 They incorporate interchangeable face-plates and clip-on sunglasses, which make them some of the most diverse frames out there. OH…and we are the only store the United States with this fabulous line!! 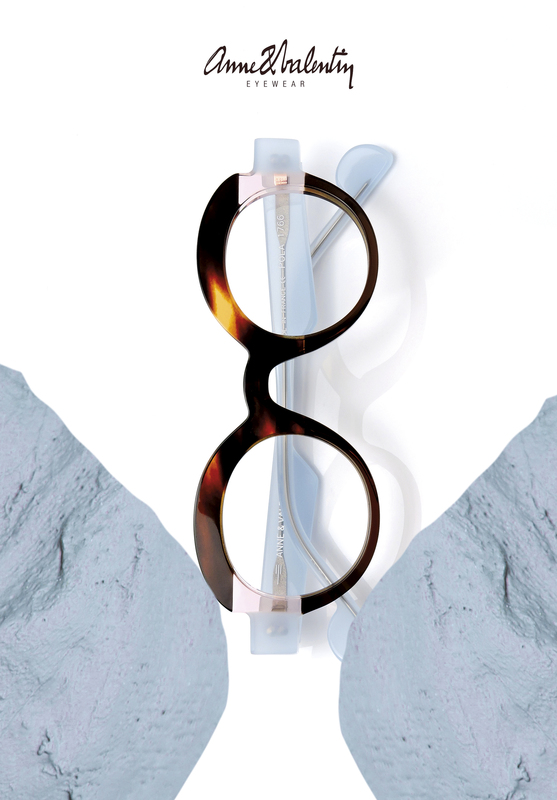 These frames break the mold…literally. Instead of using the traditional injection molding, these pieces of art are actually carved out a sheet of acetate and molded by hand. So if you’re looking for the classic look with an edgy updated persona…these little monsters are definitely for you! 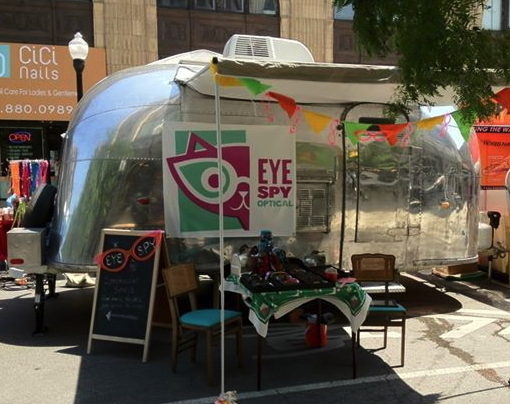 Eye Spy will be poppin’ up all over town this weekend! 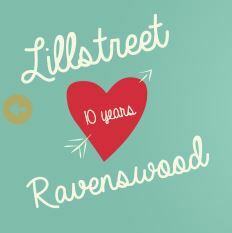 First up is Lillstreet’s 10th anniversary block party! We will be hanging out on Friday night from 6-8pm for their Best Served Hot: Ceramics for the Coffee Ritual. Second for the weekend is Logan Square’s The Boulevard Festival! We will be in front of Wolfbait on Sunday from 10-1pm. Swing by Wolfbait, the Farmers Market and our Airstream! Eye Spy a Pop-up Shop! 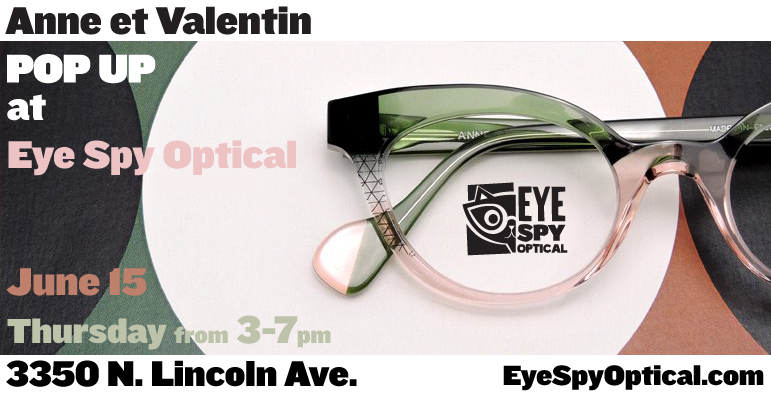 We have had many requests to open up an Eye Spy Optical in other locations so…we are doing the next best thing: an Eye Spy Pop-Up Shop! Yahoo! Would you like us to be in your ‘hood for an event? Please let us know! 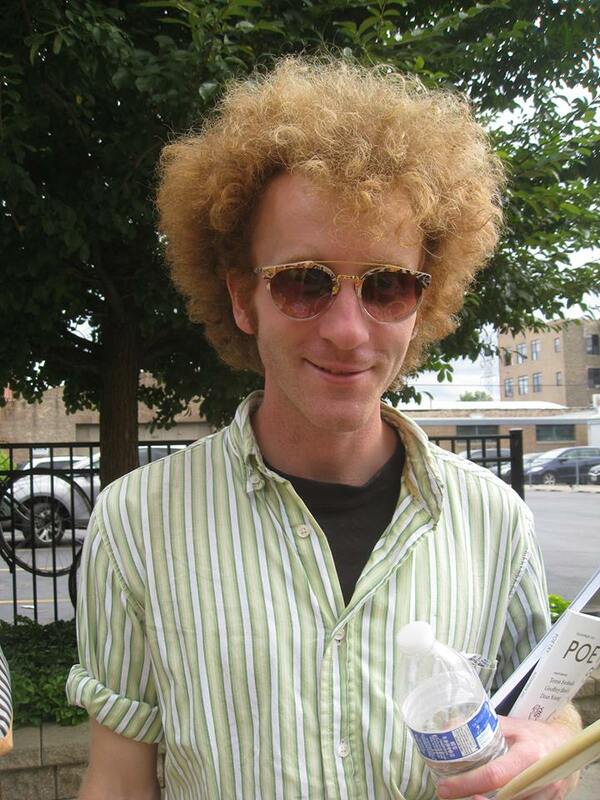 We are lining up dates through September…or whenever the cold weather decides to hit Chitown! Printers Ball at Spudnick Press on Saturday, July 27 from 12-6 PM. First Fridays on Southport on Friday, August 2 from 5-8PM. Third Thursdays at the Smart Museum at University of Chicago on Thursday, August 15 from 5:30-7:30 PM. Lill Street Art Center’s 10th Anniversary Party on Friday, August 23 from 6-9PM. Wolfbait at Summers Sessions on the Square on Saturday, August 24 from 5-9PM. 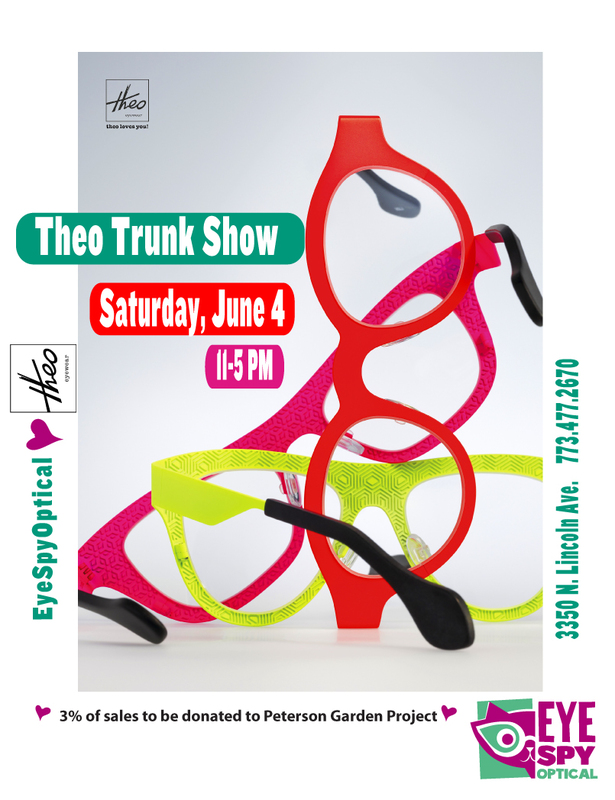 We will be sampling adult-beverages while showing a portion of our fabulous eyewear and sunwear collections. Anne et Valentin Trunk Show on Thurs., July 18th! 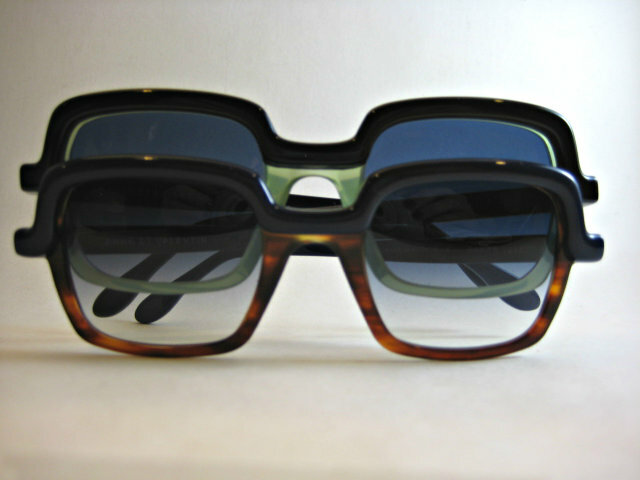 It takes a long time to make a pair of Anne et Valentin frames….and these frames, in particular. 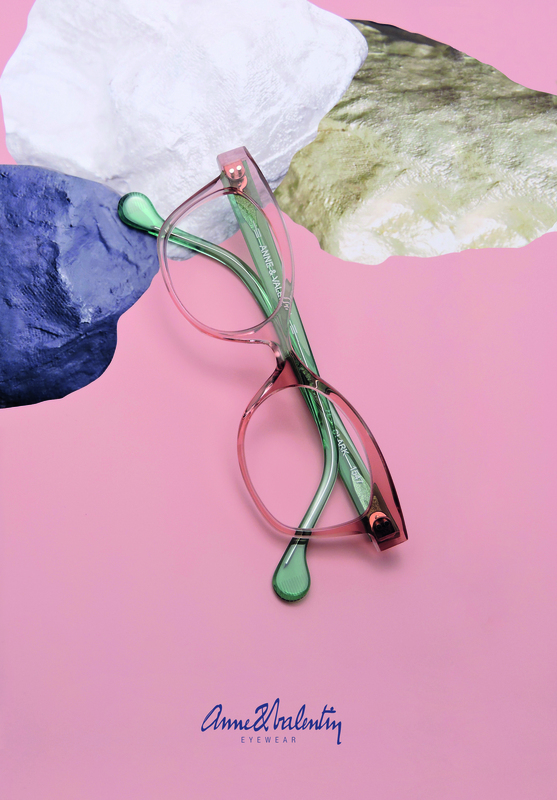 Each part of these titanium frames, where you see a color change, is a separate piece! 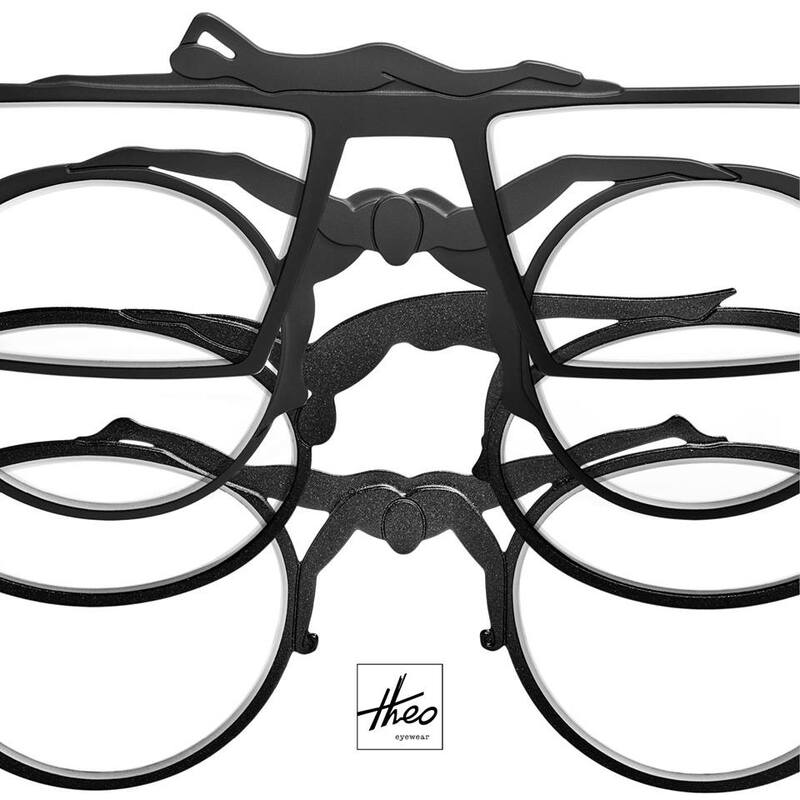 These frames are a work of art!! 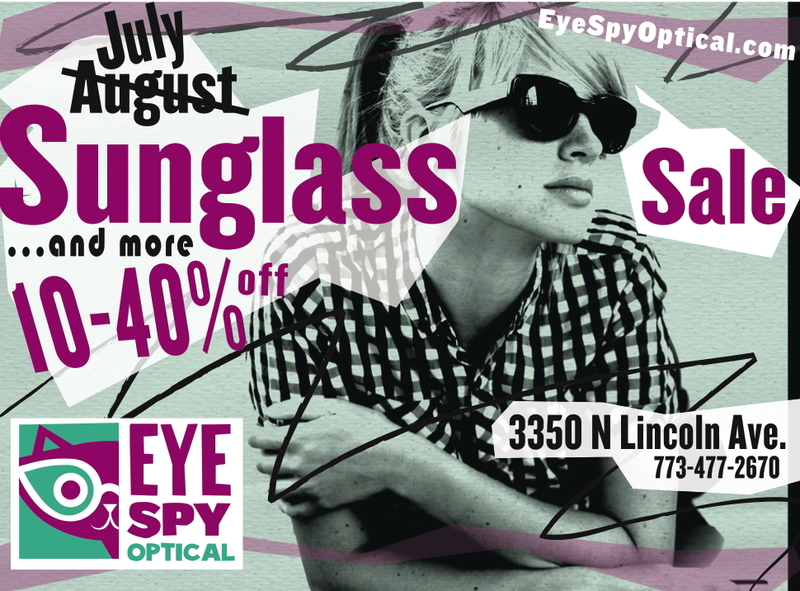 Stop by on Thursday, July 18th from 1 to 7 pm to see the entire collection…every style and every color. We will also be donating part of our sales to our sweet friends at Marjorie Kovler Center. Located in Rogers Park, Marjorie Kovler Center transforms the lives of individuals recovering from the complex consequences of torture. Kovler Center provides medical, mental health, and social services; trains and educates locally and globally; and advocates for the end of torture worldwide.